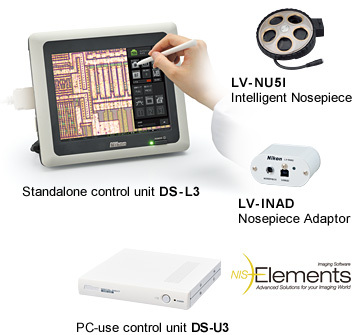 Through the combination of the Intelligent Nosepiece LV-NU5I and Nosepiece Adapter LV-INAD, information about the objective in use is detected and displayed in the monitor via the camera control unit. 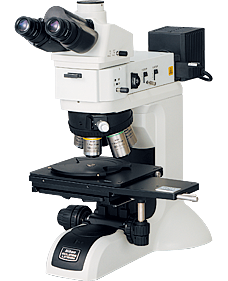 In addition, the information is automatically converted to appropriate calibration data when changing magnification. An environmentally friendly version of the LV150NL which consumes less power through long-life LED illumination is also available.